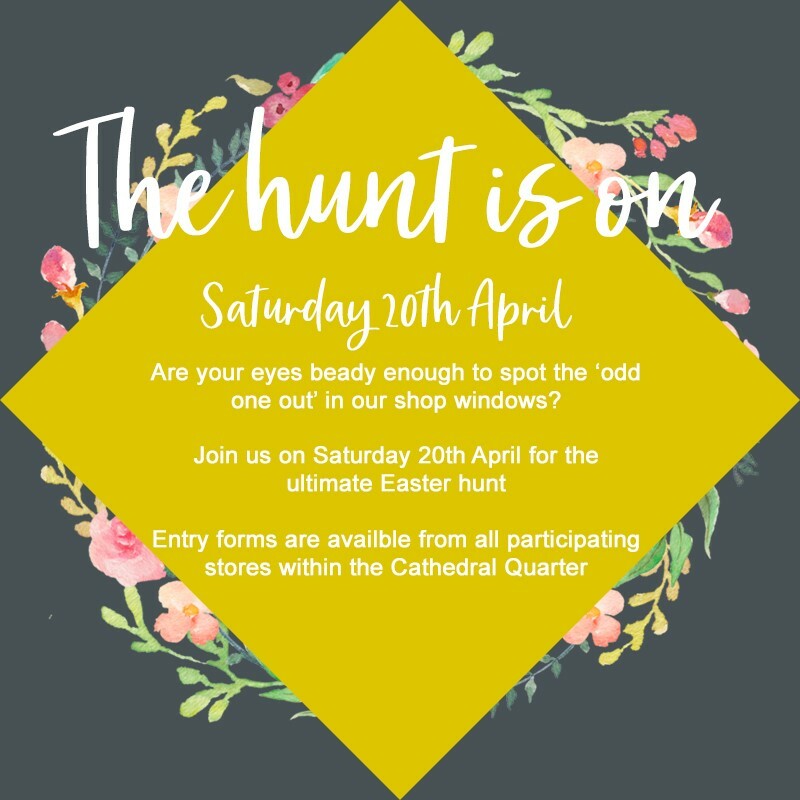 Join us in the Cathedral Quarter on April 20th for our latest event 'The Hunt Is On' Easter Treasure Hunt. It will be great fun for all the family as you explore the beautiful cobbled streets of Burgate looking for the 'odd one out' in the participating stores windows. There are some fantastic prizes on offer, so don't miss out. The modern High Street does have plenty to offer, brands that we love and identify with ideally located in the middle of our towns and cities. However, all too often High Streets offer consumers similar groups of multi-national chain stores offering an identical product in each town or city. The Cathedral Quarter offers something different: a fantastic mixture of shops and restaurants unique to Canterbury. A prime example of this is the beautiful French boutique Antoine et Lili which is well located on the Burgate. As you enter the store you are greeted with a kaleidoscope of vibrant colours that is the epitome of ‘French Chic’. Antoine et Lili was created in 1994 by a small group of friends based in Paris who shared a workshop in Montematre, the former artists village once inhabited by both Picasso and Dali. The group drew on their collections of fabrics, cloths and objects from extensive travel of the world to create their own unique, distinctive brand. Almost all the artisanal creations are ‘made with love’ in Paris, with the collections designed in house. At Antoine et Lili the collections are always original, feminine and timeless. Each is an invitation to journey, to discover other cultures, traditions and knowledge. Antoine et Lili continue to ﬁnd their inspiration from the traditional and ethnic styles of women worldwide: inﬂuences from India, Africa, Latin America inspire colours and fabrics while Europe and Asia inﬂuence the designs, creating traditional and stylish couture from every era – every piece has a story. The Robe Chinoise, the Chinese pantalon, the hand-made embroidered coat, jewels from India, the shoes of ﬂamenco, combine with classic tailored pieces that will take you from day to night, whilst coloured and unusual accessories and decorative objects are sourced from all over the world. Antoine et Lili have established stores in France and Switzerland with a recent opening in Bruxelles while in the UK we are located in the Cathedral Quarter in Canterbury. The décor, the array of colourful pieces, shoes and accessories embody the spirit of Antoine et Lili – fun, lively, chic! Antoine et Lili is just one of the eclectic mix of stores that offer a wonderful array of products and services found in the Cathedral Quarter. 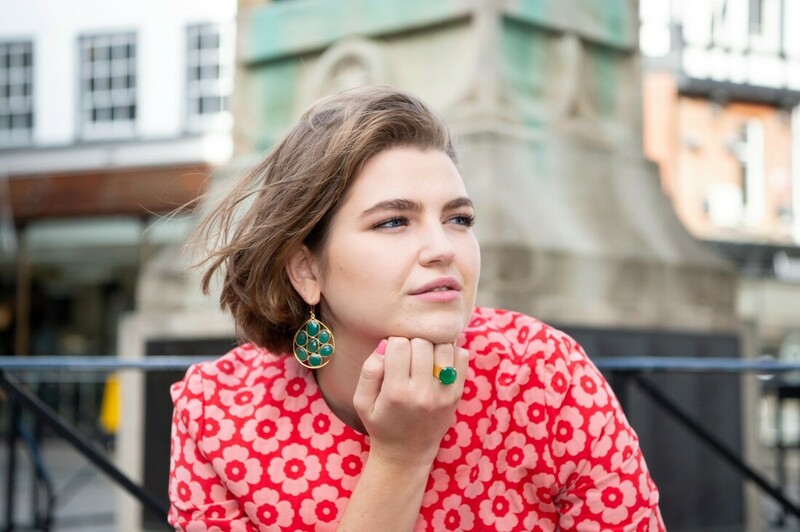 Whether you require handmade pottery, bespoke jewellery, handmade English shoes, beautifully designed French clothing or a sour dough pizza we have so much to offer. Come and experience the Cathedral Quarter, you will not be disappointed. Canterbury Pottery is located in the Buttermarket area of the city opposite to the entrance to the Cathedral. They are one of the most established businesses found in The Cathedral Quarter and is a shining example of what it has to offer. Canterbury Pottery is an independent, family run business that sells unique, beautifully handcrafted product that is created on site in the rear of their showroom. ​ The business was established in 1963 and is run by Richard and Jan Chapman. The couple have been together since 1984 and first met when Jan visited the store to place an order and made a real impression on Richard. The pot she required seemed to take a surprisingly long time to be finished and led to numerous visits back to the Buttermarket and eventually a romance blossomed. The couple now run the business together along with their daughter who assists with running the social media and the website. Richard is a master of his craft and has developed his own set of glazes over the past four decades and if you visit the store you will normally find him working on his Potter’s wheel at the rear of the showroom. His manufacturing process involves glazing each pot by dripping and pouring the glaze in random patterns, which when fired produce the unique effect which makes Canterbury Pottery pieces so instantly recognisable. All their product is oven, microwave and dishwasher safe as well as being fantastic value for money. This has given their bespoke pieces an incredibly broad appeal which has led to continued success with both the local and visitor markets. In a society where the majority of product is mass produced and our High Streets all appear to look the same it’s great to see an independent store selling handmade product going from strength to strength. This is just one of a number of stores offering something very different to the High Street in the Cathedral Quarter, next time you are in Canterbury why not take the short walk to find us and see what we have to offer. Ring out those Christmas Bells! Step back in time a while and join in our Christmas extravaganza – we are making a big effort to make your evening of festive delights very special here on the 30th November from 6pm to 8pm. Saturday 20th October. Another day in Canterbury Cathedral Shop. We were enjoying the unseasonably warm weather and, as we opened the doors at 9:30, nothing unusual happened. That soon changed. It was the day of The Timekeeper’s Return, a unique, immersive, story-based treasure hunt around various locations inside the Cathedral Quarter.